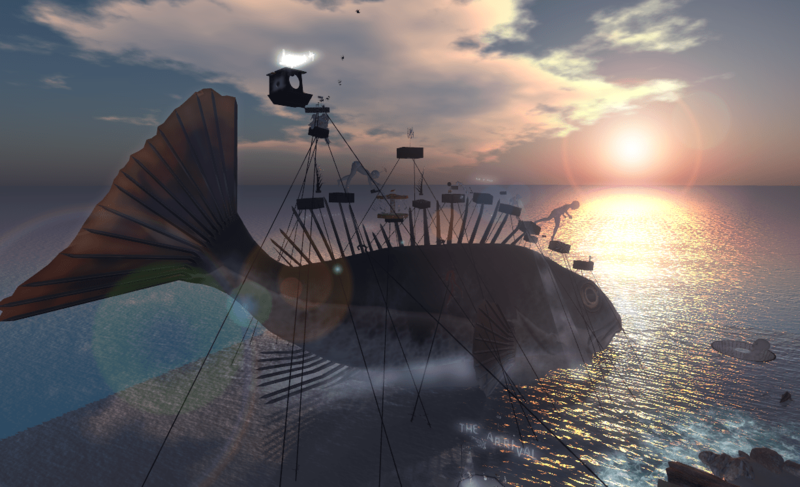 Rose Borchovski has installed the Arrival on the SIM MIC – Imagin@rium – a SIM that houses different art exhibitions. It is a big fish where the story of it’s death is told on plateaus along the back fin. I found it really amazing and beautiful to explore. I just wish Gora could have been with me on the day – that would have made it an even better experience.